When people are searching for a Horsham Sports shop they usually think of Bedford Sports. 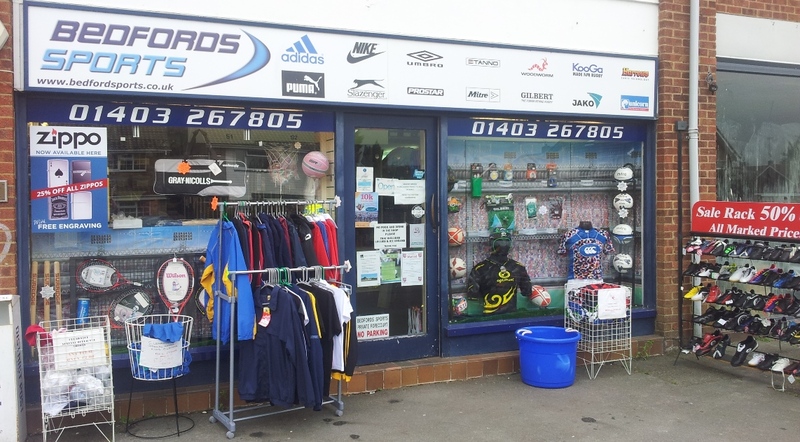 Established in 1982, we are the Horsham area’s only traditional sports shop and provide a huge range of sporting equipment and clothing for all sports and leisure activities. As a family run business we have a great reputation locally for high quality market leading brands, great service and excellent value for money. Over the years the, business has grown to provide kit and equipment to a wider and more diverse range of sports and our clients include individual sports people, clubs and organisations. Much of our business is from returning customers or those that have been recommended by friends and family and our reputation for high quality and value for money is an important factor of our success. 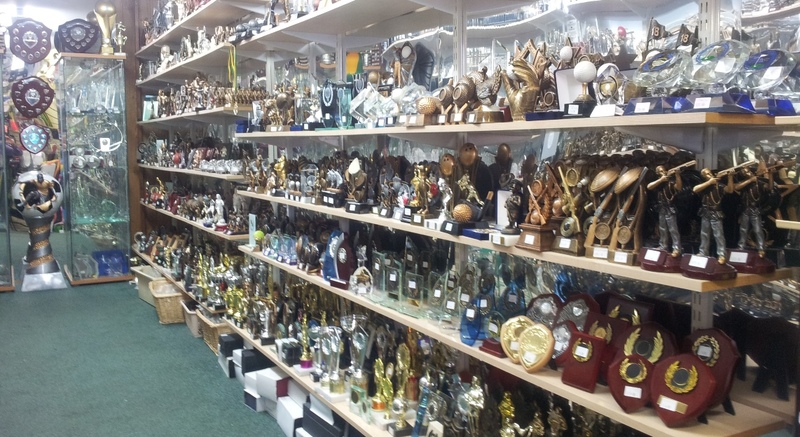 As well as providing high quality sports clothing and equipment we are also Horsham’s leading supplier of trophies, medals and awards. 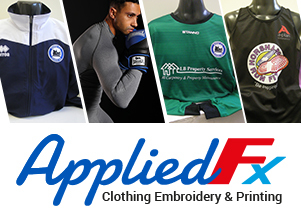 Whether for sports clubs, schools, social clubs or private purchase we stock a huge range of styles and design across all sports and past times. We also provide an in house engraving service to personalise your medals and trophies.